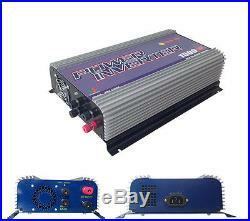 1500W/2000W on grid tie solar inverter with lcd(optional) dc 45-90, AC 90-140/190-260V AC. 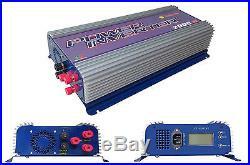 Pure sine wave solar grid tie inverter mppt. 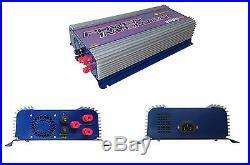 Attention:there is only 230V version for SUN2000G. 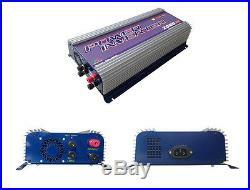 The small type solar grid tie power inverter can obtain the solar energy from solar panel, and can tie to the grid through its output cable with no extra. The installation is very convenient and reliable. 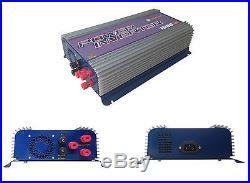 We call the system combining with small solar grid tie power inverter and solar panels as’SGPV’. The system includes solar panels and small type grid. Solar panels can be mono silicon, polygon silicon, non-crystal film or any other material that can transform solar energy to electric energy. 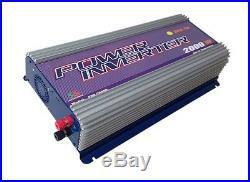 The power of grid tie inverter should be matched to the power of solar panels connected. So the power of SGPV is defined by its solar panels, it can be. Standardization according to the actual using. The inverter can be connected to any outlet at home, when this line run by the conventional electric network. The small grid tie monitors the volume. Frequency and phase of the home grid, then produce a pure sine wave that the frequency and phase are as same as the grid’s, and the volume is a. Bit higher than the grid’s, then according to the current controlled PWM, to control the output power to the grid. The small grid tie inverter just puts. Out power when the home grid is on. When the sun shines, the PV panel will produces DC voltage, and the grid tie inverter will change the DC voltage to AC voltage and puts out power to. When the total power of electric apparatus that are using in the house is larger than the output power of the inverters, these power from. 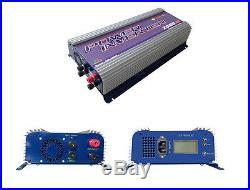 The inverters will be consumed in the house, this will slow down the power meter, otherwise, the difference of the output power of the inverter between. The total used power of the apparatus will go out from the house to the out grid. Advantage of The Grid Tie Power System. There are many advantages of SGPV compare with the traditional grid tie power system. Low cost and easy installation – SGPV can make full use of all types of buildings surface that face to the sun in the city as well as fast and easy. Installation of solar modules and grid tie inverter. It just needs very low maintenance costs. Free combination – SGPV can be used as a separate grid tie system and can be setup as a large solar array with many of them. SGPV in the array is just according to your desire. If you are planning to install a grid-tie PV system, in a general way, the solar array and inverter need. 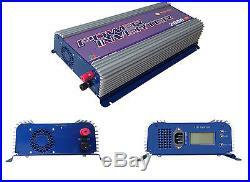 To be carefully matched to ensure that the inverters voltage and power limits are not exceeded. When you want to increase more solar panels, and if the. Total power of the solar panels exceeds the allocation grid inverter, it is necessary to increase the cost of a grid inverter. Combination of SGPV does not interact – The traditional solar grid tie system, they offer units ranging in high power output and these units are modular. So you can have multiple units operating in parallel for large solar arrays. 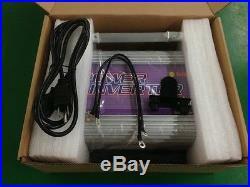 Although, the traditional grid inverter has MPPT feature Maximum Power Point. Tracking, but the maximum power point is according to the entire series in terms of solar panels array, if the performance of a piece of solar panels in the. System, for some reason, such as leaves, bird droppings, dust, shadow, etc. And degrades, the performance of the entire solar power system will decrease. SGPV has no such disadvantage. If the performance of a piece of solar panels in the system degrades, this just effects this piece itself, will not affect other. SGPV in the system. Improving the efficiency of the entire solar power system In traditional grid tie system, the solar panels are connected in series, so the MPPT of the. Inverter is according to the total panels in series, not to every panel, but there is difference between every panel, so not every panel is working at the maximum. Power, this will reduce the total power of these panel in series. But SGPV has no such disadvantage. Because every inverter of SGPV has MPPT function. So every panel is working at the maximum power, this will increase the efficiency of the entire system. Low power consumption Most of the parts in the small grid-tie inverter are digital ICs and low power MCU, so the power consumption of it is low, though. The quantity of grid tie inverters is increased, but this will not increase the power consumption much of the entire system. Normal AC Output Power. Maximum AC Output Power. AC Output Voltage Range. AC Output Frequency Range. Total Harmonic Distortion(THD). DC Input Voltage Range. Have given more than 3 negative or netural feedbacks during past 60days. Have received 3 or more negativeor netural feedback during past 60days. Have opened dispute twice in past 60days. We believe that all problems could be fixed by communication. Between buyers and sellers as long as both of us are honest and understanding. 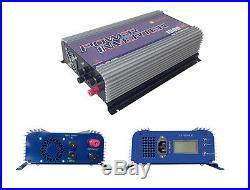 The item “1500With2000W Grid tie inverter, DC45-90V, AC120/230V, pure since wave inverter mppt” is in sale since Thursday, June 08, 2017. 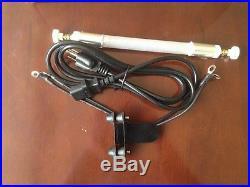 This item is in the category “Home & Garden\Home Improvement\Electrical & Solar\Alternative & Solar Energy\Chargers & Inverters”. The seller is “sunhome910″ and is located in , . This item can be shipped to North, South, or Latin America, all countries in Europe, all countries in continental Asia, Australia. 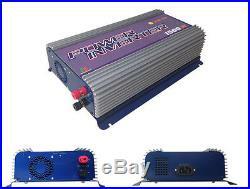 1500W/2000W grid tie inverter for DC or AC wind turbine generators, 45-90V Input, 230V 120V AC(for 2000W, there is only 230V version). Pure sine wave MPPT. Dump load resistor included. For DC(WDL)/AC(WAL) Output Wind Turbine. Build In Dump Load Controller. Build In High Wind Protection. The grid-tie inverter can transfer wind energy from wind generators directly into the home grid using no extra equipment. It can be connected to any outlet (conventional network) in the home. The grid-tie inverter controls the phase and the. Frequency and voltage of the power generated by the wind generator. It produces a pure sine-wave and matches that of. This WDL grid tie inverter has designed for wind turbines that put out DC voltage WAL grid tie inverter was designed for. The wind turbine with 3 phase ac output0. It can maintain the rotating speed of the wind turbine and keep the voltage from. 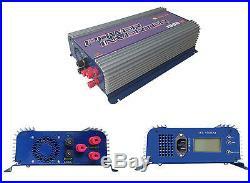 The wind turbine always at the range of the rated range of the grid tie inverter. It also has a high voltage protection function. When the wind is too big, and the dump load controlling system cant keep the output voltage from the wind turbine, the. Controller will disconnect itself from the wind turbine, so it is very safe to be used. Normal AC Output Power. Maximum AC Output Power. AC Output Frequency Range. Total Harmonic Distortion(THD). AC Input Voltage Range(3 phases). AC Output Voltage Range. Not available for now. DC Input Voltage Range. AC Input Voltage Range. On the LCD Panel of the inverter, there is one AC output socket, that will connect the AC output cable to home grid. The LCD display will display the grid AC voltage, current , active power and electric energy that combined to the grid. Electric parameters measurement function (voltage, current and active power, electric energy). Running time function (record load cumulative working hours). Power down data save function (save the number of kWh, operation time). 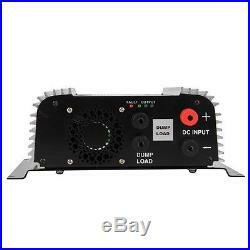 Large screen LCD display (display voltage, current, power, active power, cumulative running time). UP: Short press will display power, electricity, current and voltage in anti-sequence. DOWN: Short press will display power, electricity, current and voltage in sequence. BACK LIGHT: Short press will open or close backlight. Have given more than 3 negative or netural feedbacks during past 60days. Have received 3 or more negativeor netural feedback during past 60days. Have opened dispute twice in past 60days. We believe that all problems could be. Fixed by communication between buyers and sellers as long as both of us are honest and understanding. 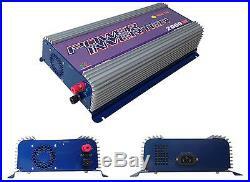 The item “1500With2000W 45-90V DC/AC wind grid tie inverter with dump load resistor” is in sale since Saturday, November 26, 2016. This item is in the category “Home & Garden\Home Improvement\Electrical & Solar\Alternative & Solar Energy\Chargers & Inverters”. The seller is “sunhome910″ and is located in , . This item can be shipped to North, South, or Latin America, all countries in Europe, all countries in continental Asia, Australia.